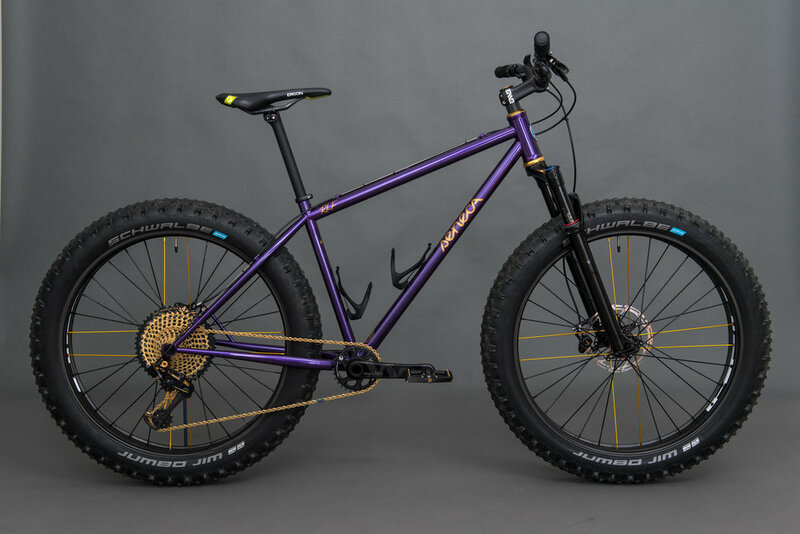 I am pleased to present this beautiful new fat bike! 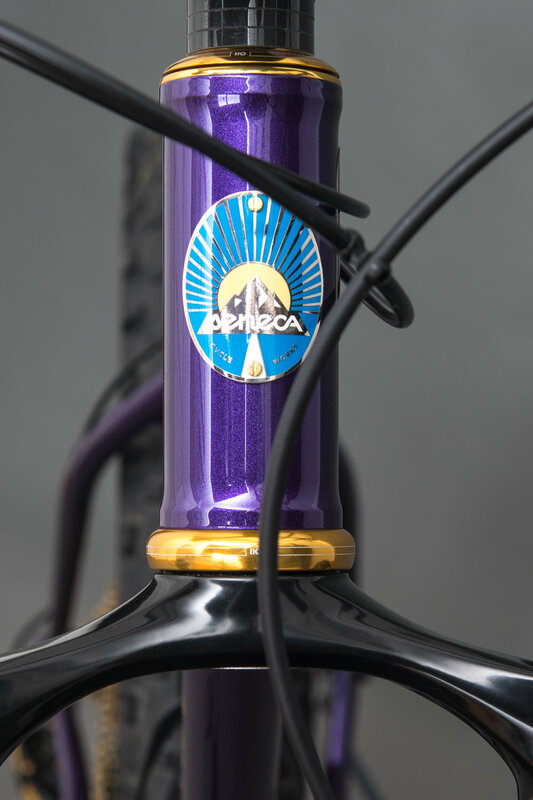 Painted in Royal Purple with gold and black accents, this particular bicycle was designed to handle a mixture of trail surfaces, and is optimized for 26 x 4" tires. 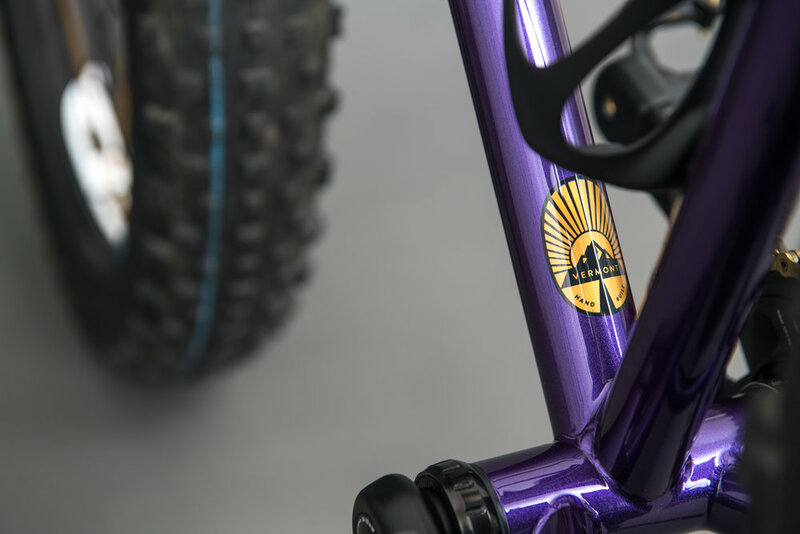 It was conceived as more of a "trail" bike than a "winter" bike. These 4" tires run at low pressures provide gobs of traction and a high level of confidence on rough trail surfaces. Though tires wider than 4" are popular too, I feel that this size hits a sweet spot in between monster size and weight, and something lighter and more nimble. 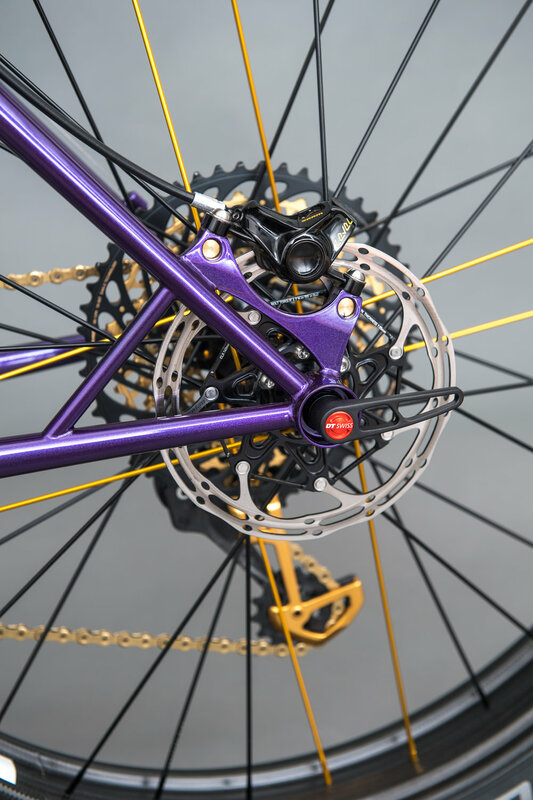 A variety of lightweight parts brings the total weight to right around 25 pounds, ready to ride! It was a pleasure to build and I hope that it will be even more of a pleasure to ride.